We are still enjoying mild weather even though we are now into November and would often have had some snow fall by now. 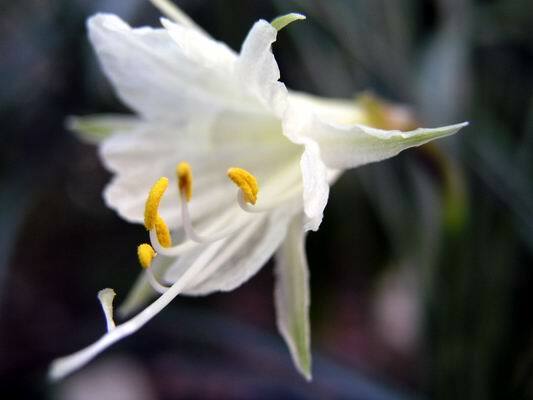 This has confirmed to me my theory, that it is milder than usual temperatures, that encourage Narcissus to flower early. 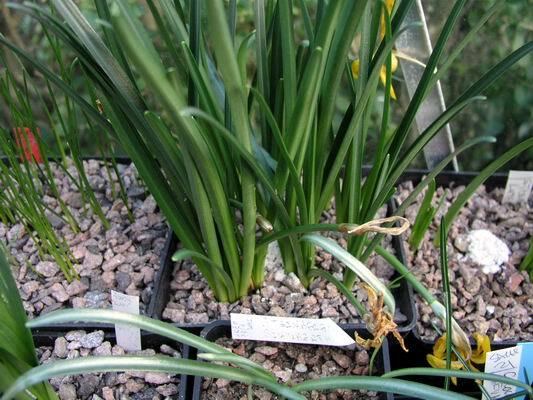 If it is cold when their roots emerge they do not flower until January but if the temperatures are favourable then they will get on with it and flower immediately - bulbs are such opportunists. If the temperatures were to suddenly drop, then all the buds that are emerging would slow down dramatically and the flowers, that at present rate will open in 7 to 10 days, may not open until January. When I am taking photographs I always like to use both the landscape and portrait formats. This gives me the opportunity to vary the format on the screen when I am giving talks - although the audience may not realise it, having all the pictures in the same format can be tedious and an occasional change from landscape to portrait is a refreshing change. Also if your pictures are going to be published, Editors also like this choice and portrait (vertical) is the best selection for full page or cover illustrations. While on the subject of photography, I was being lazy today and did not use my tripod, forcing me to use a wide aperture. A wide aperture results in a very shallow depth of field, (the amount of the image from front to back that can be in sharp focus at the same time) and as the light was also poor this picture was taken at f2.6 so I had to select where the focus should fall - the anthers. The Sternbergias have all finished flowering now and I have just added the first feed of potash. 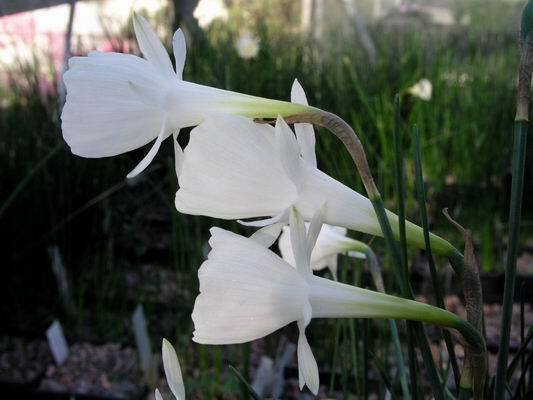 Gerd Knoche raised an interesting point in the bulb log feedback pages about autumn and spring flowering bulbs forming their flower buds at the same time in the spring. This is earlier than I usually apply the supplementary food but Sternbergias need a lot of feeding and I want to try an early application this year to see if I can get improved flowering. I do believe that most of the bulbs do form flower buds in the spring but in our swinging climate which can result in mild spells anytime through the winter, I think the bulbs take every opportunity to add to their food store. If the temperatures are close to, or below freezing, the bulbs slow down and sit it out until the temperatures rise again. Of course I watered these pots to wash in the potash. I am still catching up with sowing the last of our own bulb seed. Crocus seed stores very well in sand which prevents it drying out too much. 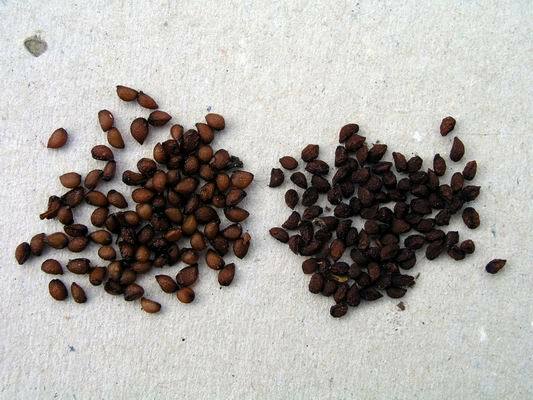 Martin Baxendale started another very interesting Forum thread regarding seed (when you should sow it and whether you should dry it at all) which you should read. I do agree that sometimes it is best to sow certain types of seed as soon as it is ripe. However, if you use this method, you have to take into account the conditions that the pot of seed will be kept in. I find that a cold, wet, Aberdeen summer is not the most favourable of conditions for sown seed pots. 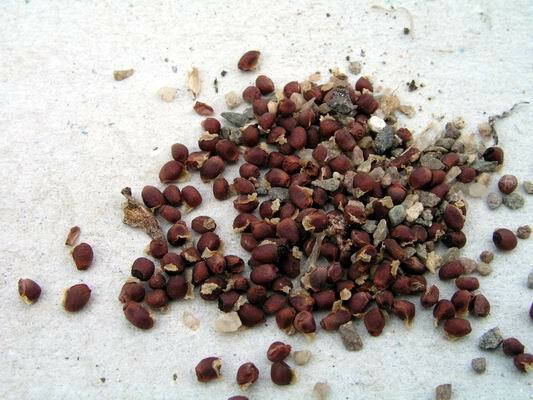 There is a tendency for them to get too wet and seed can start to rot; that is why I store most of my seed for the summer months and sow it, ideally, in late August/ September. 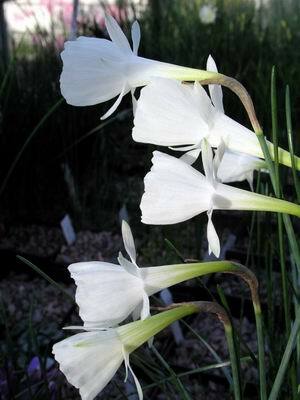 In warmer drier areas, sowing as soon as the seed is ripe may be the best way, especially for the 'woodlanders' such as Galanthus,Trillium, etc. 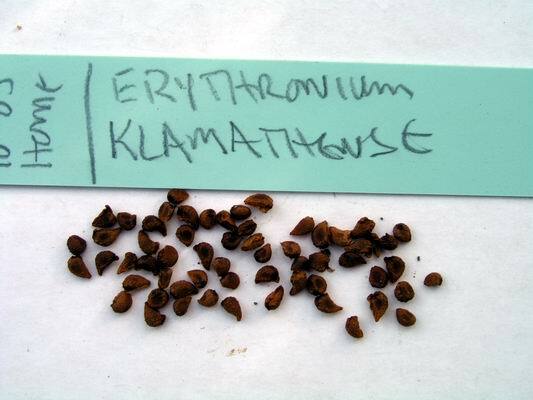 I even store my Erythronium seed because trials in our garden show I get a better germination rate than I do if I sow the seed straight from the plant. 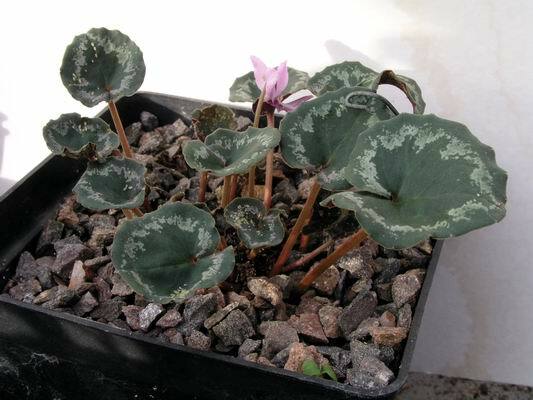 Interestingly we have masses of self sown erythronium seed all around the garden and these germinate very well, so the poor germination rates from freshly sown seed is only witnessed in pots. This highlights how different the conditions are between a pot and the open garden despite the fact that they may be no more than 1 metre apart. If my erythronium seed looks a bit dehydrated, I always soak it in some water over-night and the results are seen above, where the seed to the left has been soaked and those to the right have not. As I have mentioned before, I recycle our potting compost, sometimes using it to sow seed into. 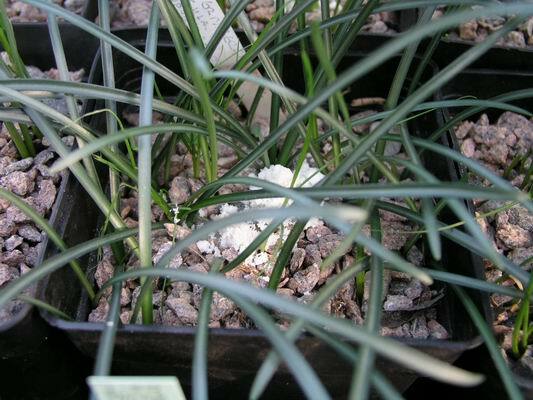 I just make sure that I use it for a different genus, not because of disease or anything like that but to prevent mixing up the bulbs. When I am reusing the compost I always find small bulbils that I missed and if I sowed frit seed into a compost that may contain frit rice I would get into a terrible muddle. 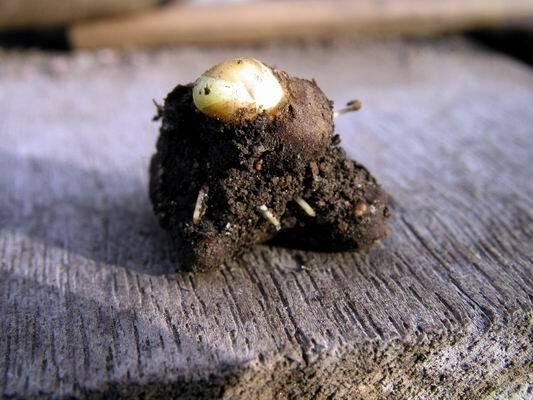 Just to illustrate this point I found this small Eranthis corm, just starting into growth, when I was sowing my erythronium seed into recycled compost. 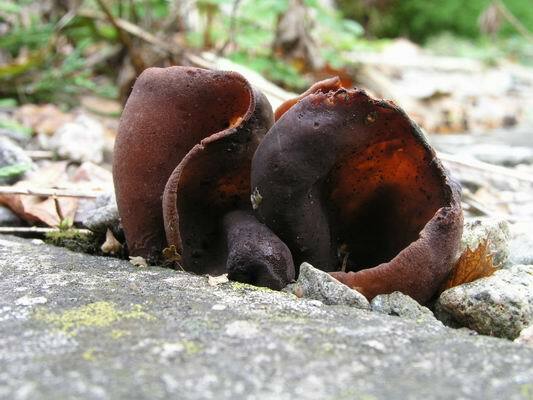 Another interesting thread on the Forum shows lots of fungi. Many gardeners are worried about having fungi in their gardens and some are thinking of stopping mulching with composted bark because of them. We spread composted shreddings every year on our garden and we have lots of different mushrooms and toadstools all over the place. I think that this is a healthy situation as they help break down the organic matter, releasing the nutrients and elements for the plants to take up. 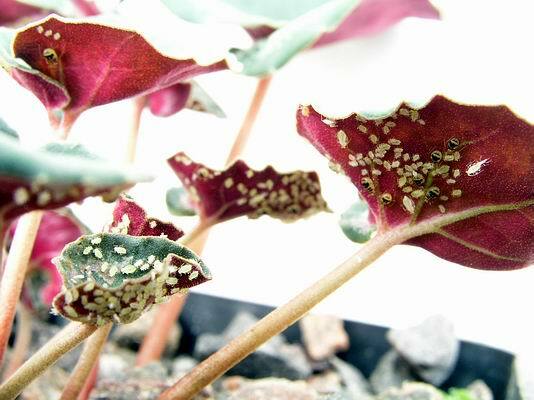 Not so healthy and as a result of the unseasonably mild conditions we have had, is this poor Cyclamen mirabile. Can you spot the problem?